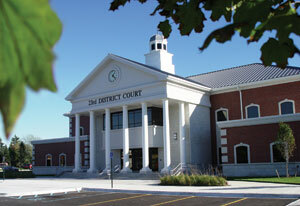 The 23rd Taylor District court is home for all criminal offenses that occur in the city of Taylor, Michigan. If you have been arrested or accused of a DUI, misdemeanor or felony offense, probation violation, traffic violation, or gun crime in Taylor, MI, your case will go before either Hon. William J. Sutherland, or Hon. Geno Solomone. Taylor Michigan Criminal Defense Attorney Kevin Bessant has successfully represented clients before each of these Judges, and maintains a good relationship with the Court and City Attorney. The Taylor Police are known to be aggressive in the arrest and prosecution of those pulled over. Do not risk your freedom or criminal record without first contacting Taylor Michigan Criminal Defense Attorney Kevin Bessant first. If you have a pending case in the 23rd Taylor District court, call our office now for a free consultation. 313-658-8159.